This product of the factory of youth, written and directed by first-timer Cameron Crowe, sports the intelligence and humanity of producer James L Brooks (Terms of Endearment, Broadcast News) like a buttonhole on a blind date. It's a relief to find characters with dignity in this context: Mahoney, in particular, relishes the opportunity to play an adult with some depth to him. Essentially though, it is teen romance time. 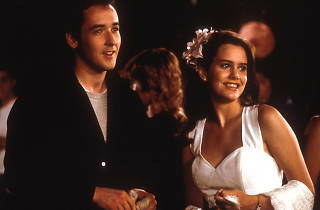 Ione Skye is a (very) straight 'A' student, and John Cusack an easygoing kid who thinks his future might be in kickboxing. They fall for each other. The love story is as old-fashioned as the jokes are old hat, but Crowe's amusing script and unforced direction allow the actors to develop reasonably authentic characters from stereotypical roles ... and the Cusacks are something special. 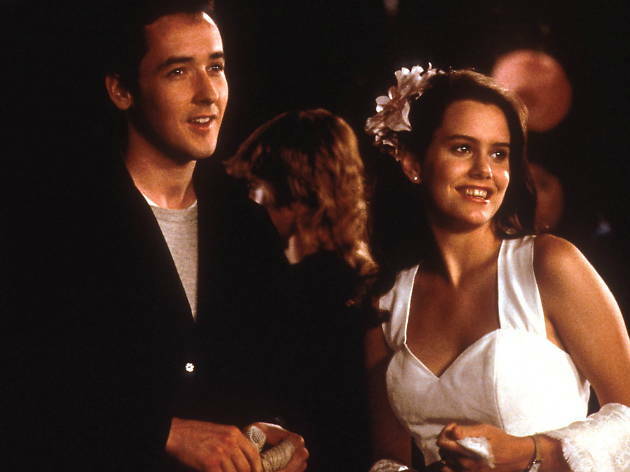 Joan, who in Working Girl and Stars and Bars wiped the floor with everyone in sight, gently underplays in a cameo to her brother John, whose quiet integrity and oddball personality tap the charm of a jive-talking Jimmy Stewart. We are always growing up with American teenagers at the movies; at least these two are coming of age. Why this never got as massive cinema release back in the 1980s is a mystery. Possibly the greatest 80s teen-flick alongside Breakfast Club. I wish there was more of the central relationship and less focus on the creepy Dad. so many iconic scenes especially the Ghetto Blaster held aloft to the strains of Peter Gabriel's In Your Eyes.... cameos all over the place Eric Stoltz, jeremy Piven, Loren Dean.... Dated but still the reason why the 80s can't be replicated. F*ck Hot Tub Time Machine. Watch this!!!! Throw Pink in Pink in the bin, and watch something worth while! This film is totally amazing!!! films in the 80's are coool.